On Saturday morning the Holy Wine Ceremony took place, officiated by representatives of our Blessed Family department, Karl & Sarah Zimmermann. 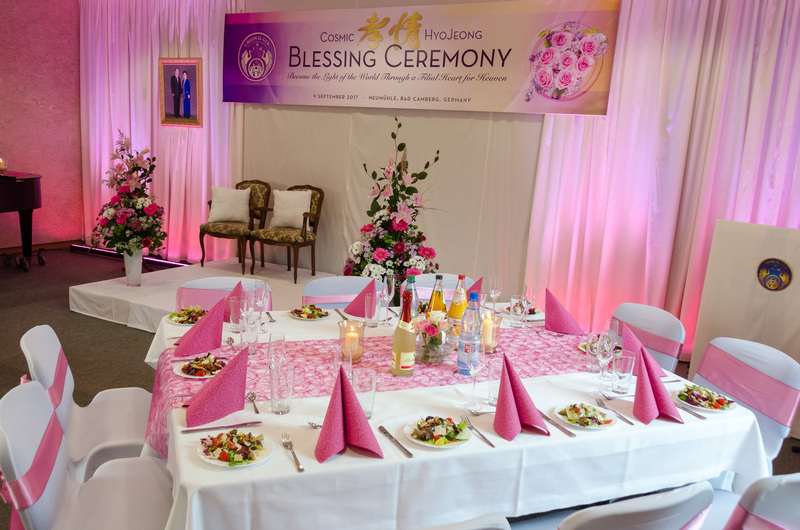 Many helping hands had beautifully decorated the main hall in pink and white. 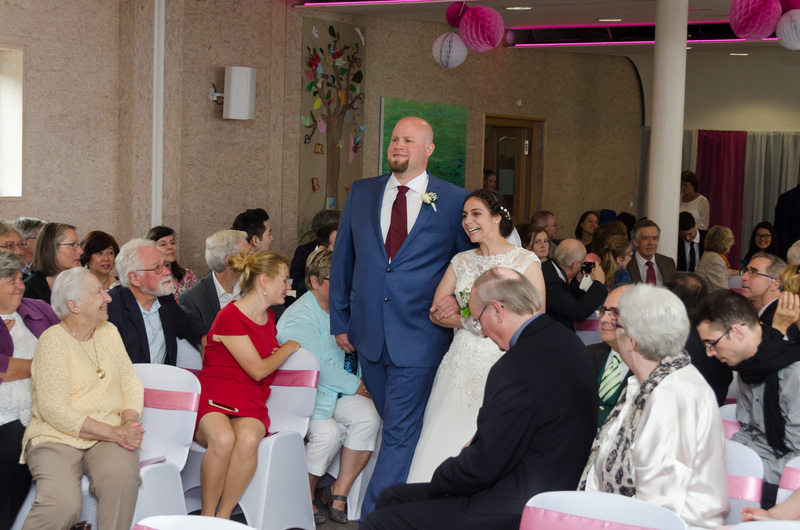 Family, friends and guests arrived in the early afternoon for the main Wedding Ceremony. Altogether 150 people were in attendance. 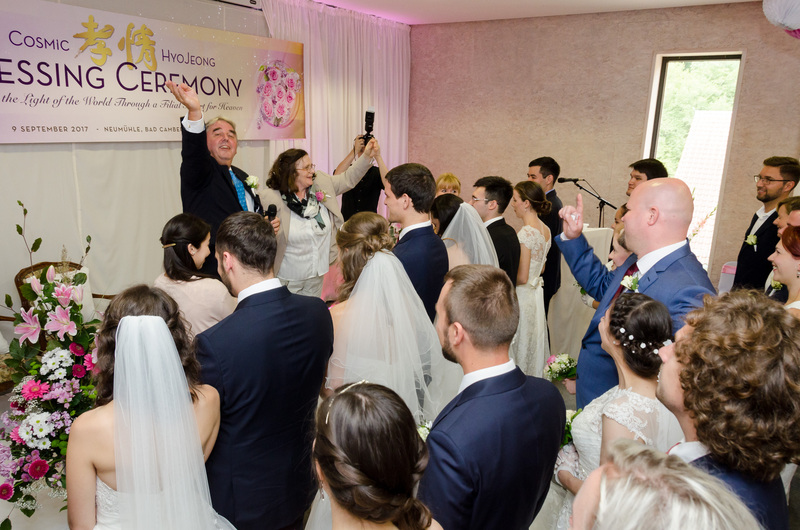 The couples received the Holy Water, confirmed the Blessing vows, attended True Father’s Blessing prayer (by video), exchanged rings, and finalized the ceremony with True Mother’s Blessing Proclamation (also by video). Flowers were presented and a young lady with a beautiful voice performed a congratulatory song (Italian love song). The final message by the officiator focused on the couples’ future family life; it was stressed that Heavenly Parents and Tribal Messiahship are essential for a truly fulfilling relationship. The couples bowed to True Parents and their parents and guests. Finally they cut the wedding cake, received the Blessing Certificate, a Tribal Messiah Kit and a book on how to relate as a couple.